It was during my time at Cass that my love for wellness became fully apparent as a potential career path. I had intended to return to the finance world after business school but my favourite classes and clubs always drew me back to wellness ie being Co-President of the Cass Running Club, my final MBA dissertation was on a health and wellness business and my final marketing paper was on an elite fitness business in the US. It is no surprise to my Cass classmates that I am now running my own wellness business. I chose Cass for three reasons: I wanted to reconnect with my roots, make my professional network more international, and gain a more global perspective. Firstly, I am British born and grew up half of my life in the UK and the other half in the States. I loved that going to Cass enabled me to spend time with my family in the UK. Secondly, I also relished the opportunity to build a professional network that spanned beyond the States. My classmates were from all around the world and had such different backgrounds and experience. These connections and friendships were an invaluable part of my experience, not to mention the incredible Cass alum I have met since graduating at alumni gatherings in NYC. Lastly, to gain a more global perspective. Our world is more interconnected than ever, and in order to succeed in business and life I knew it was important to understand cultures and customs of people from all around the world. It is not enough to just read about other ways countries do business/solve problems but to actually work alongside people from these different countries helps to understand what makes people tick, our differences but also our similarities, and how we can work together. It also makes us more agile to cope with the changing economic environment and adapt to personal and professional challenges. 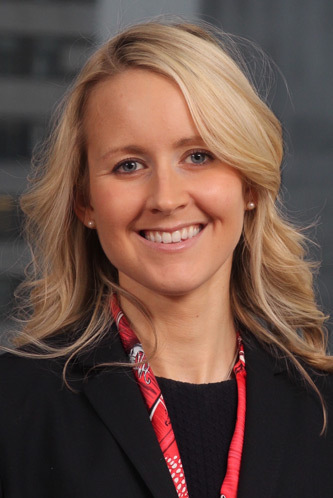 Read more about Jessamy’s time at Cass as well as her advice to women thinking about doing an MBA.